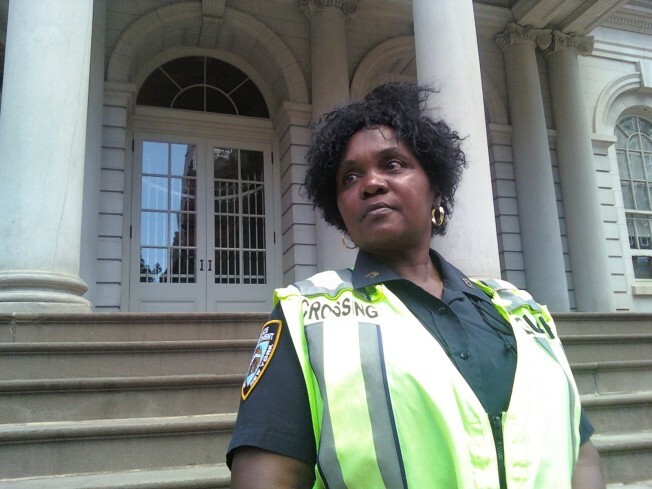 School crossing guard Debbie Washington sees her job as more than just keeping children safe from traffic. "When you see kids traveling alone who are so small they can barely make it across the street without a coat in freezing temperatures you know something's gotta be going on at home." Washington visited City Hall Tuesday to protest Mayor Bloomberg's budget cuts to child abuse prevention programs, first reported by NBCNewYork. The plan would eliminate preventive services for at least 3,000 families at risk of abuse and neglect. Hundreds of social workers and family members attended the protest on the steps of City Hall today, some holding signs saying "Don't forget Nixzmary Brown." "There are very few things that government supports that are more effective than these services, "said Public Advocate Bill de Blasio. NYC officials say despite the cuts they will try to serve more families by placing time limits on services, which haven't existed in the past. It's the same program that helped Washington get back on her feet in the 1990's when she was suffering from "low self esteem" and drinking to mask her problems. Washington tells NBCNewYork she handed her children over to relatives because she could not take care of them -- until she received help. Today Washington describes her four daughters as thriving successful young women with good self esteem. Washington is stationed at the corner of Tomkins and Dekalb avenues in the heart of Bedford Stuyvesant, a neighborhood with among the highest rates of poverty, child abuse and neglect in the city. "Some of them ask you for money to eat," she says. "They go to school just for the food." And when Washington sees something, she says something. She has referred family after troubled family to the Brooklyn Bureau of Community Service for services, according to sources at the program.